It was a while ago but I blogged about the opening moves in chess. I am so blown away by this figure that I feel it is worth repeating. Hard to imagine isn’t it? Of course it is this what seems to be endless, amount of moves, that keeps me playing despite strings of losses I experience I am now at less than a 50 % win rate. My elo is abysmal and I will not put it here however I hover at about 50 %. So any chess geeks can figure out my Elo. For non chess geeks, Elo rating system is a method for calculating the relative skill levels of players in competitor-versus-competitor games such as chess. It is named after its creator Arpad Elo, a Hungarian-born American physics professor (and so should not be written in all caps). I want to go over briefly exactly what a galaxy is. I am not posting this definition to insult anyones intelligence I am doing this to demonstrate how massive space is. A galaxy is a system of millions or billions of stars, together with gas and dust, held together by gravitational attraction. So the sun is a star in the Milky Way galaxy. 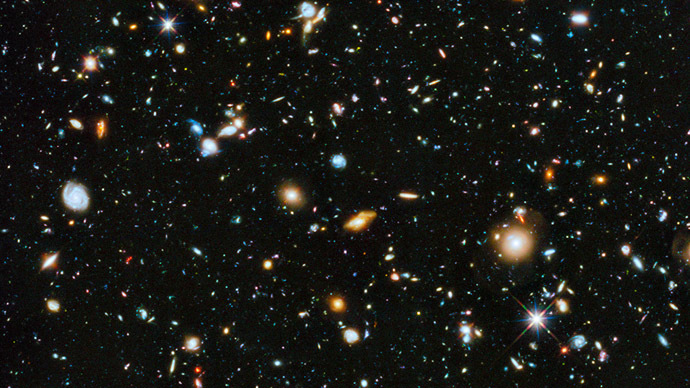 This shot of 10,000 galaxies is one very small corner of space. Is there life on a planet other than earth? I would say it is highly likely. As the hubble telescope moves through space all kinds of images come back to us here on earth. We can often feel like our lives are providing us with some unanswerable questions. Tough calls, or no win situations I compel you to do as I do and think about chess and space. You may need to “move your telescope around” or look at the board from a different angle but I really think there is no such thing as a no win situation.